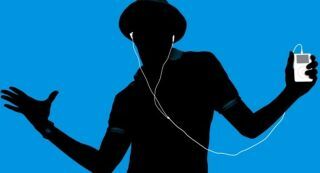 MP3s make you less happy, study says | What Hi-Fi? MP3 compression strengthens neutral and negative emotional characteristics in instrument sounds, and weakens positive ones, according to a study. Hi-res audio not only sounds great, it could be better for your emotional wellbeing too. According to a study by the Audio Engineering Library, MP3s and similar low-quality compression formats have a distinct effect on the timbral and emotional characteristics of the instruments involved - strengthening neutral and negative emotional characteristics, and weakening positive ones. The study - called The Effects of MP3 Compression on Perceived Emotional Characteristics in Musical Instruments - analysed compressed and uncompressed music samples at several bitrates over 10 emotional categories. It found that MP3 compression strengthened emotional characteristics like mysterious, shy, scary and sad, but weakened positive ones like happy, heroic, romantic, comic and calm. So playing Pharell's Happy won't have quite the same uplifting effect at a lower bitrate. Interestingly, the emotional characteristic of anger was relatively unaffected by MP3 compression. The Audio Engineering Library put this down to the background artefacts in such a low-quality compression which could sound like a growl. The trumpet was the instrument most affected by the level of compression, the study said, while the horn was the least affected. So there you have it - a great excuse to get into hi-res audio. MORE: What are hi-res audio headphones and do they sound better?